Morocco is a country full of contrasting images, colourful sights, strange smells and exotic experiences. The urban landscape is defined by its minarets and mosques whilst the communities in the rural Berber villages are full of hospitality. Teams can trek in a variety of landscapes ranging from lush, cultivated valleys to magnificent peaks and high passes. Integrate with local communities whilst undertaking community or school based projects. 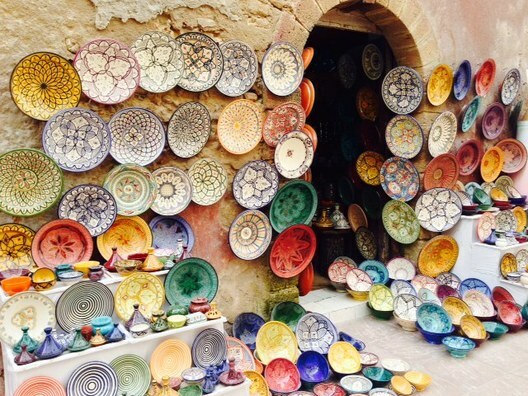 Wander through the souks of Marrakech, a perfect amalgamation of colour, energy, and vibrance. Trek to the highest point in North Africa. Experience the wonderful Moroccan culture first hand. On arrival in Morocco teams will spend the first night in the bustling medieval capital of Marrakech. The team will then travel to Imi Oughlad, a journey that takes you from the plains around Marrakech into the heart of the High Atlas range. Teams can choose to summit Mt. Toubkal, the highest mountain in North Africa, reaching 4167m. 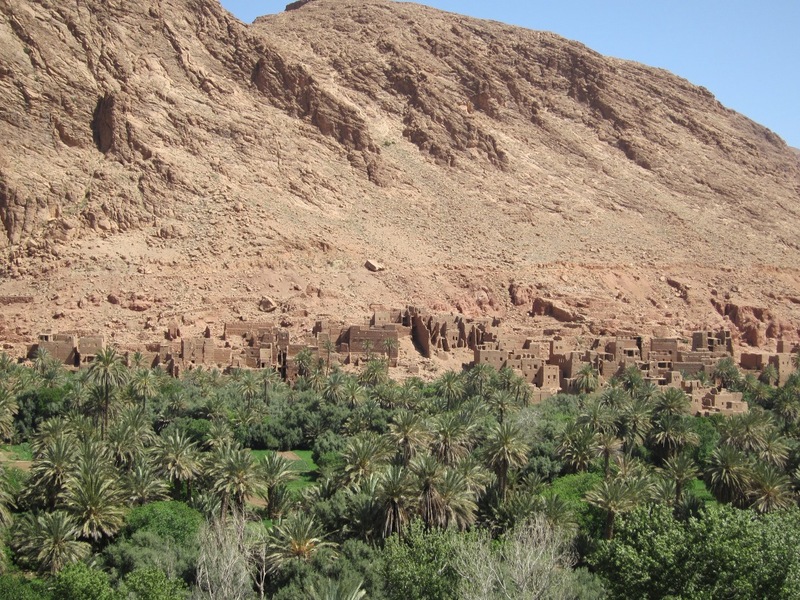 This rewarding trek passes through remote villages and terraced fields offering an insight to the life of the hardy and friendly Berber people. 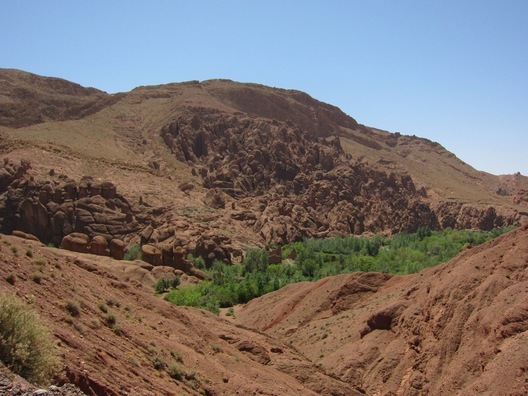 There are plenty of other fantastic trekking areas that the team can choose from in the High Atlas Mountains, this includes the Todgha Gorge with its spectacular rock walls offering many good routes. In this valuable and rewarding phase teams can volunteer and take part in a variety of environmental and community based projects giving them the opportunity to become immersed in the Moroccan culture. Past examples have included creating play areas, refurbishing classrooms and teaching English. There will be plenty of opportunity for interaction with local villagers and children. All projects are chosen in consultation with the community to ensure their needs are met. 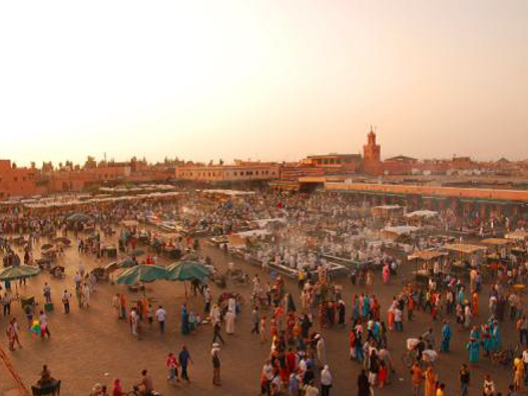 Visit the souks of Marrakech, accessible from the buzzing city centre; Jemaa el-Fnaa. This huge square is the focal point of the city and it really comes into its own at dusk. There is plenty to see and experience from jugglers, storytellers and snake charmers to mouth watering aromas and colourful, enticing markets. Our Morocco adventure is graded as moderate or level 3. However, some easier and some more challenging days can be expected when trekking giving it an overall level of 2 to 4. The fitter you are the more you will enjoy your expedition. Mountains, forest, gorges, desert, valleys and coast. 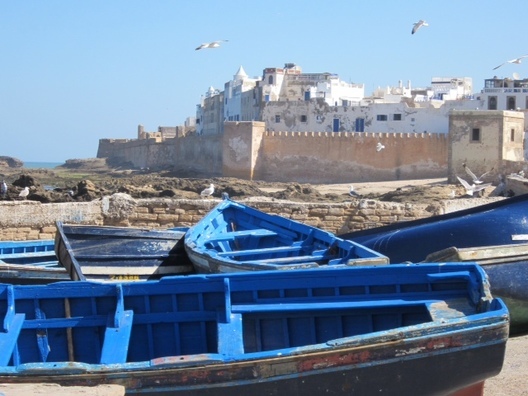 Morocco has a moderate, subtropical tropical climate, which means it is hot year-round. However expect day and night extremes especially in the High Atlas. Morocco is a country with a multi-ethnic society and a rich culture, civilization, and etiquette. Islam is the predominant religion.